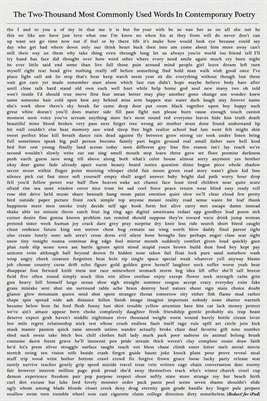 The front-side of this poster features "The Two Thousand Most Commonly Used Words in Poetry," which are proudly displayed in order of frequency of use. Whether this is something you frame or that you scribble erasures on, this print will turn any wall into a modern typographic celebration. The back of this poster features the finished group-erasure poem (titled: Most Used Words Try) that was created by several hundred booth visitors at the 2013 AWP Conference and Bookfair in Chicago, who were each allowed to redact one word at a time (from the poster that is featured on the front). For a look at the poem on the back please check the preview. On the back side: Get the super sized and amazing dream-like cover from our Winter 2013 issue.